Years ago, I was at a brunch and the host had a cake there was deceivingly plain looking. It had a slice and it was actually one of the more delicious cakes I had ever tried! I asked what it was and she told me it was called and Olive Oil Cake, I was like, for real? What CAN’T olive oil make tasty? I’ve been on a hunt every since to find a recipe to make one on my own that compares and this one looks pretty dang close. The orange juice and orange liqueur with the Lemon Zest give it that little citrus zing that makes this just perfection. In a large bowl, whisk together the eggs, sugar, PDO Sitia Greek EVOO EVOO, milk, orange liqueur, fresh orange juice, and lemon zest. Sift together flour, baking soda, 1baking powder & salt. Mix the dry mixture into the wet mixture. Whisk until well blended. Fold in chopped almonds. 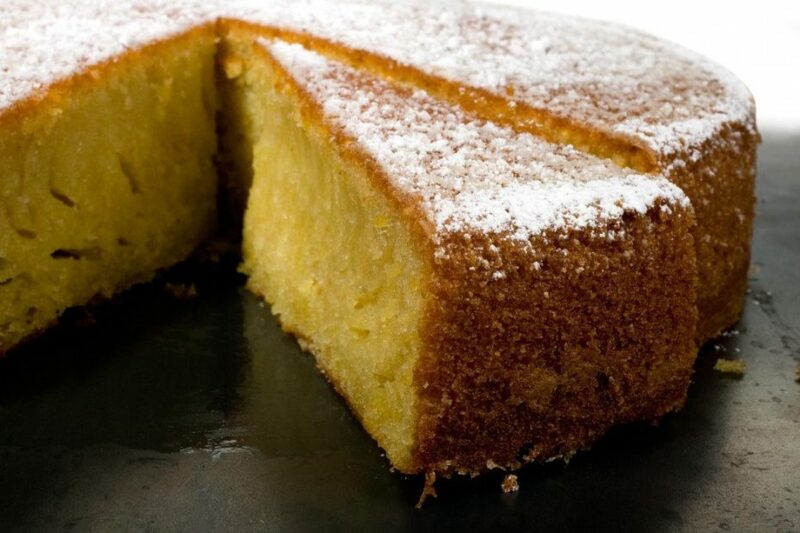 I have made an olive oil cake a lot but not in the past few years. Glad to be reminded. This recipe sounds so close to mine. After everyone tries this, they have asked me for the recipe.